"Bulgarian Literature from the Liberation to the World War I" is a book that grew out of lectures of prof. Milena Kirova at Sofia University. Its content is based on the program of Bulgarian Philology students and is tailored to their needs and cognitive abilities. At the same time, this is a book that can introduce a wide range of readers to the history and problems of Bulgarian literature. It uses a large amount of factual information, represents not only the classical authors and works, but also less well-known, even forgotten authors. All observations and analyzes are based on specific historical processes. 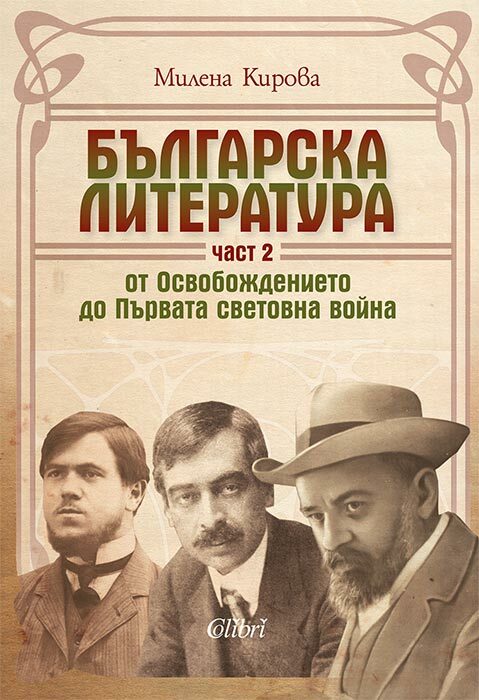 Part 2 covers authors and processes of the first two stages of Bulgarian modernism: Nine authors are portrayed in detail. Excluding Petko Todorov, all others are poets: from Pencho Slaveykov and Peyo Yavorov to Debelianov, Liliev and Trayanov.